Christmas is over and the snow is finally falling in 2019, which means it’s time to start ordering gift items for Christmas again. As Oswald’s gift and toy buyer I often feel I live and breathe Christmas 11 months out of the year. The actual Christmas season is just the culmination of all my buying! The Christmas season for my calendar starts in January with my annual trip to Atlanta for the gift and home show. This year was no exception; I flew down to Atlanta on January 9th to start Christmas shopping for Oswald’s. The gift show always has some amazing items, both old and new. In this blog I’m going to share my favorite gift items that will be trickling into the store throughout 2019. 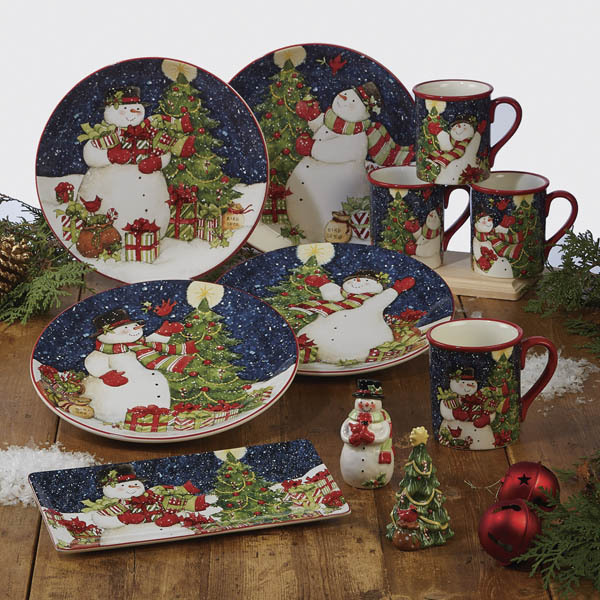 We will be bringing back some old favorites: Old World Christmas, Willow Tree Nativity and Certified International Ceramic Ware (ICICW’s new snowman design is really cute). We will also be bringing Stony Creek Christmas Lights back for another season. Our nightlight section is about to get much bigger! A large selection of Primitives by Kathy (PBK) Christmas and Fall merchandise will be coming to Ozzie’s this fall, a ton of new nightlights included. We tried some of the PBK everyday dish towels last year and were so happy with them that they will be making a comeback this year as well! Yep, there were a lot of booths that featured new items like this… in January. I ordered a line with a fresh take on frames and personal sentiment wall art groupings. The frames and wall art are all shaped like puzzle pieces. On top of that, you can choose to get one piece or a bunch and make a grouping that can be added to as you like. Another new line I ordered is called Easy Tiger. They have some really fun cards and Journals to help keep track of life as well as some great last-minute gift items. 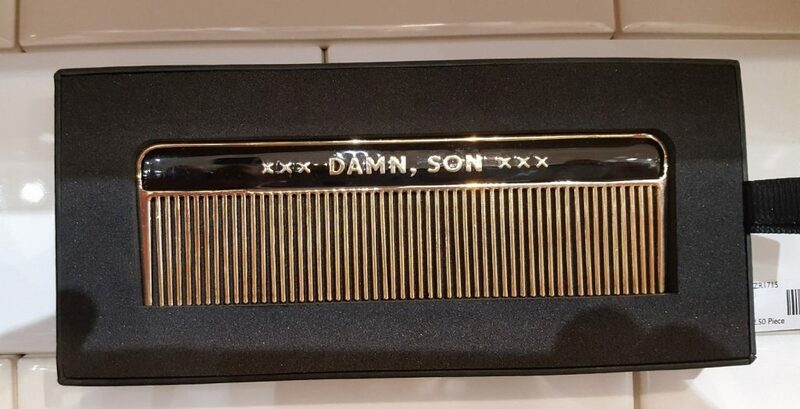 We will also be getting some combs, lowball glasses, flasks and writing implements with some oh-so snarky phrases on them. One of the ‘snarky’ combs at the show. While looking through three buildings of gifts and home furnishings (around 35 floors total!) I also brought back a few lines that we already carry. Chala has come out with some new designs that are truly delightful. 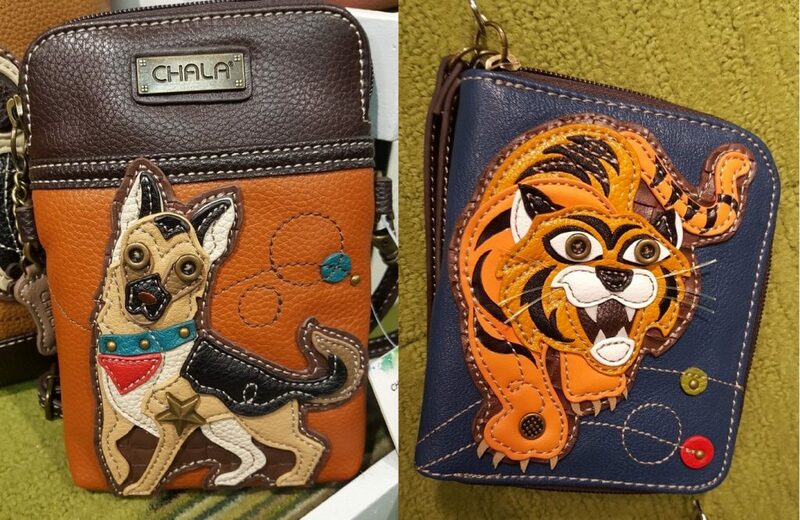 I may have to purchase another new handbag from Chala’s upcoming selection. Mad Style has also come out with a line of “manly” candle scents. You can’t go wrong with a man cave that smells like Cuban cigars or rich mahogany. 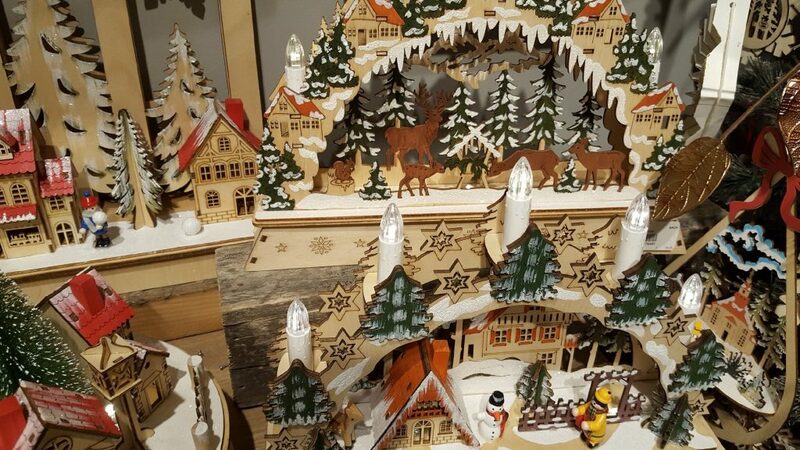 Puzzles in every shape and size will continue to come in during these first few cold months of the year (a perfect time for staying in and puzzling). We will have new designs from White Mountain and Piatnik. The show was exciting as usual and over the next few weeks, we will be getting in loads of new products. Stay tuned – I can’t wait to share it all with you!!! 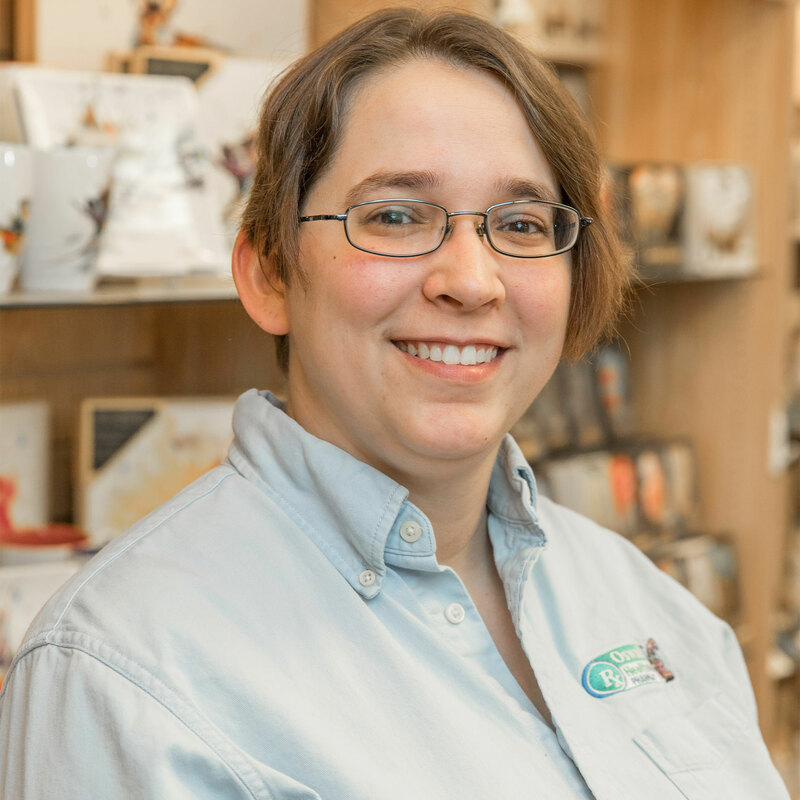 Alecia is Oswald’s retail manager and lead gift & toy buyer. She has been working at the store since 1999. Specializing in unique gift buying tailored to the Naperville community, Alecia maintains Oswald’s as a destination for gift & toys. Alecia graduated with a BA in Interior Design from Harrington College of Design in 2003. A graduate of Naperville Central High School in 1999, Alecia has lived in the Naperville area for over 20 years. She is the coordinator for Oswald’s events at Naperville Plaza. Alecia and her husband are parents to a beautiful dog named Moses.